There’s no better thing than a lip smacking snack that goes with almost everything you eat! Falhari Namkeen is one such snack that will get you hooked once you get the hang of it. Rich with taste, spicy, tangy, salty and sweet, this snack has something for everyone. It does not matter who you want to impress, this will do the job. Family gatherings, kitty parties or any other such occasions – you name it – there’s just more than enough you can do with this and too little to go wrong with. 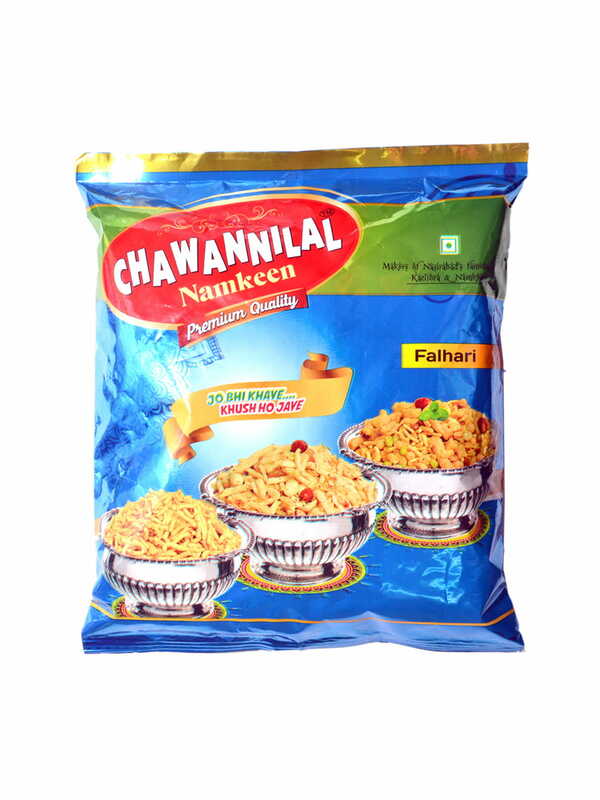 A great friend to your evening tea, an amazing option for your snack cravings, Falhari Namkeen will make sure you are not disappointed. Made with potatoes, peanuts, kaju, kishmish, green chillies, curry leaves, castor sugar, pepper powder and rock salt (sendha namak), the quality of this product is absolutely top-notch. 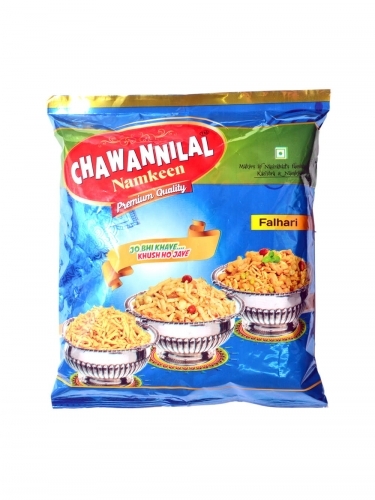 Chawannilal’s Namkeen is a trusted name that has been pleasing people since 1973, serving its customers with all the yummy goodness. As the name speaks, this store is renowned for its namkeens.